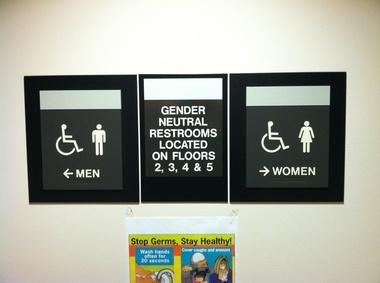 Multnomah County becomes one of first in nation to require gender-neutral bathrooms for transgender users | OregonLive.com. Multnomah County is jumping to the forefront of a national debate by becoming one of the first in the country to require single-occupancy, gender-neutral bathrooms in all new construction projects for the county.The move, coming through an executive order scheduled to be signed this morning by county board Chairman Jeff Cogen, is intended to eliminate stigmas for transgender county employees and visitors using county-owned restrooms. This entry was posted in Politics and tagged oregon, toilet on June 12, 2013 by .